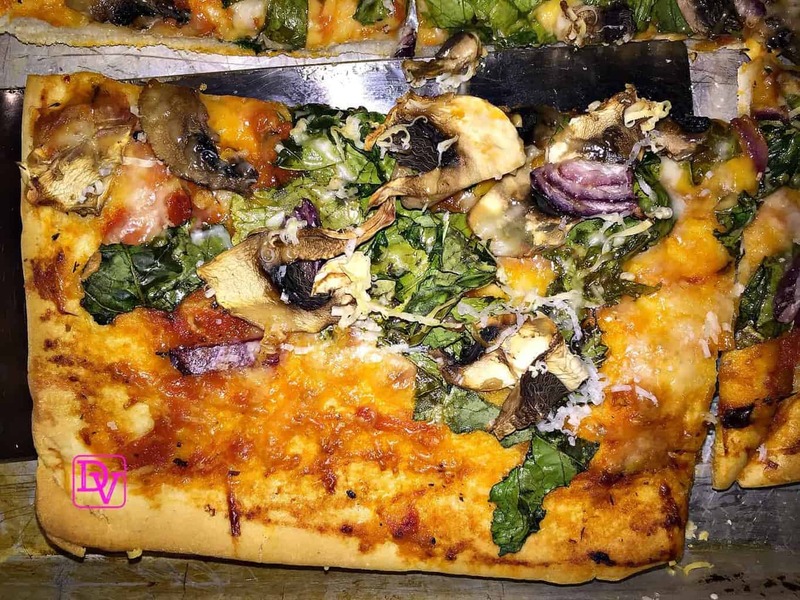 There is nothing like a homemade pizza, but when you start adding some really authentic, non-traditional toppings you suddenly create a gourmet-type pizza that could be served in the finest pizza restaurant. I am all about different, not using the standard, all-american pizza toppings and after spending time in Italy with my Aunts, Cousins and family I pretty much have a different appreciation for food. 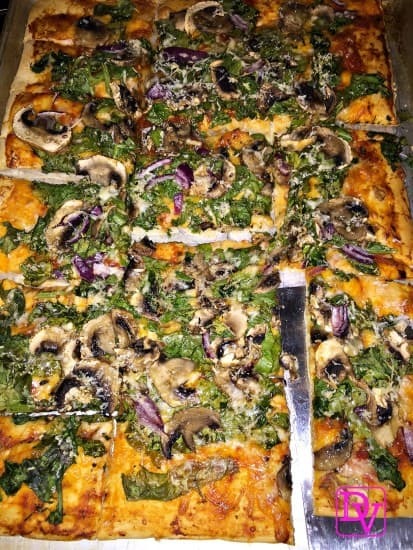 Cucina Vento is now serving up a Veggie Pizza With Dandelion Greens. Food and creations are not about the norm, when you want a taste that extends beyond basic and you want to have foods that entertain your palate don’t stop and grab plain ingredients, look for those that you don’t hear a lot about and embellish. 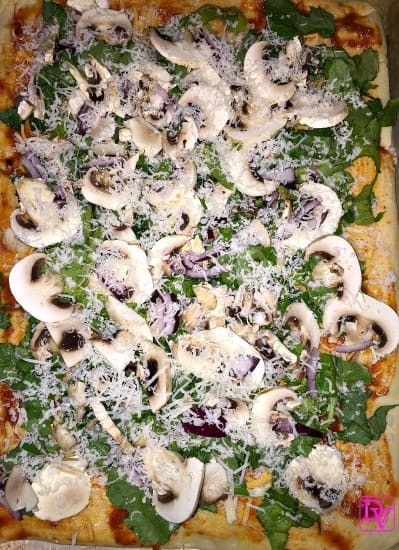 This is my story of lavishly living food out loud with a recipe for Veggie Pizza With Dandelion Greens. If you have never worked with Dandelion Greens before, you might need to know that not all Dandelion is the same. My favorite season for Dandelion is in the early spring, when it is popping out of all of our flower beds and lawn. There is nothing like picking fresh dandelion from the yard and tossing a salad, creating a pasta, or just eating it leaf by leaf. However, not every season is as kind to the Dandelion crop(depending where you live) and in Pittsburgh, we are at the mercy of our retail outlets and their stock. 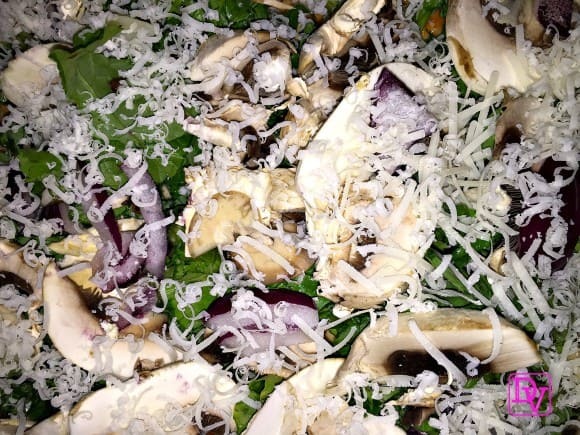 Recently, I just had to grab the dandelion I saw at our market, but the leaves were huge(and that’s not good for a salad) but I can assure you it is perfect for an incredible veggie pizza. Make sure the bunch you choose offers all GREEN leaves, as if there are any that are brown, it will spoil quickly and it make be ‘old’ dandelion which will not create the taste you are looking for. Dandelion need to be cleaned in a colander, rinsed, and rinsed again. There is often grit in them, and I use a saltwater bath in a bowl of water, then I drain and rinse in a colander. I also allow this to dry or place it in the Lettuce Spinner to move the process along just a bit. The taste on this is just unbelievable and I am so happy to share my recipe with you! In a large bowl, place dandelion greens, add a dash of salt and water to rim. Allow dandelion to rinse for about 3 minutes, then rinse each piece and place in colander. Remove from colander and either pat dry with paper towel or use a lettuce spinner to get the moisture off. Smear the sauce across the pizza, there will not be excess, just enough to coat, do make sure to get the edges and corners, better than the middle. 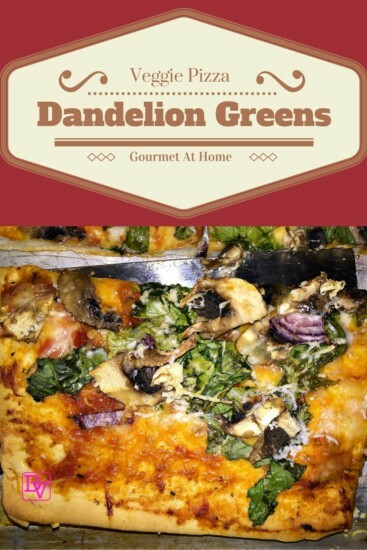 Bake pizza for about 12 Minutes or until cheese is melted and Dandelion is wilted. Make sure your crust is golden brown. Serve warm or cold, cut into pieces as you desire. Make sure to use a pastry brush to distribute the olive oil as well and sauce. Coat the edges of the shell with sauce to make sure they won’t burn first. When cooking, you are looking for fresh mushroom and greens to cook down and change in appearance, which is key to making sure this pizza is properly cooked. Make sure to chop the Dandelion into Bite-Size pieces as it can be a ‘stringy’ type of veggie to work with when it is this large in leaf structure. You can always add salt and pepper to the pizza as needed to taste, I do not. The recipe will turn a basic pizza shell into a gourmet veggie pizza in just minutes. The more veggies the better and I prefer to really stack it up. The cooking time will differ from oven to oven. IF you prefer a little meat with your pizza, this is best complimented with either a Pancetta, or chopped bacon. This is how I lavishly live food out loud and create a homemade Veggie Pizza With Dandelion Greens. What are the most bizarre items you have placed on your pizza?